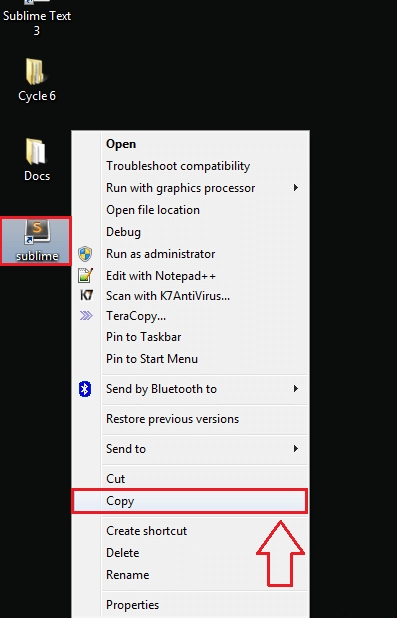 How to Create custom Run Command for applications In Windows 10: – Who doesn’t want to ease things up? It could be too much of a job if you have to navigate a lot and double click on a frequently used application’s icon to launch it. Of course, there are a lot of ways through which we can solve this issue. But we do like to do things different, don’t we? How about opening your favourite applications through Run Command with a single step? Sounds cool? Most of the frequently used applications have pre-defined run commands to open them. If you press Windows and R keys together, it will open up the run window. Typing chrome and hitting enter would open up Google Chrome. 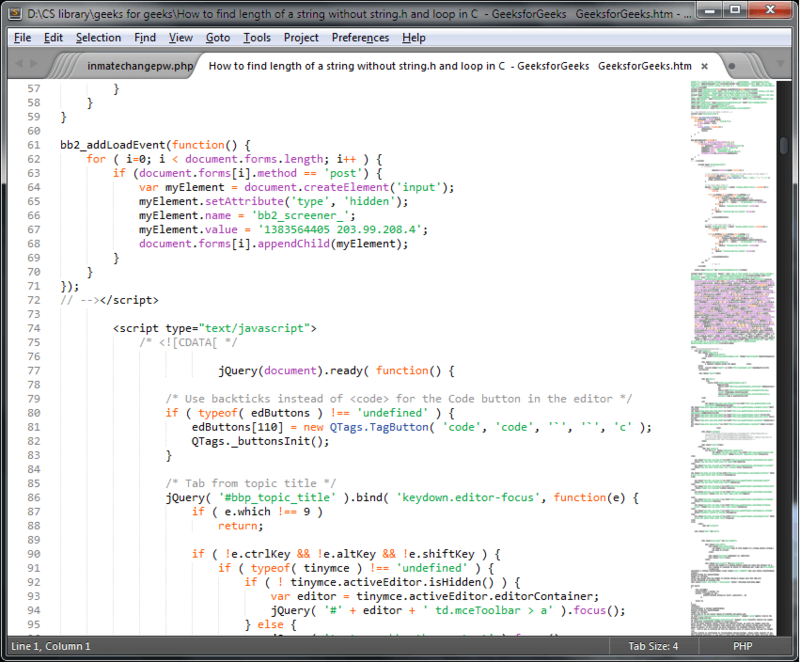 But if you want to open Sublime Text application this way, it won’t work. Let’s get to the steps to learn how to make this work. Make sure that you have administrator privileges to execute the following steps. Read on, to learn how to hack this simple trick. First of all, let’s make sure that Sublime Text application doesn’t already have a run command created for it. For that, press Windows Key and R Key together to open the Run window. Type in Sublime and hit Enter. You will receive an error message as shown in the screenshot. 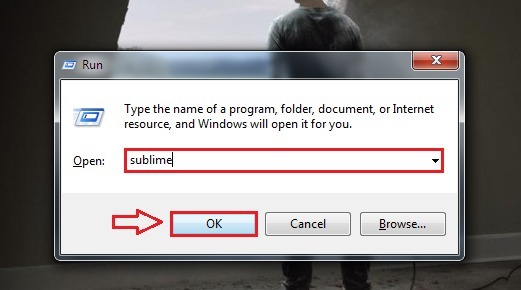 It means that Sublime doesn’t have a pre-defined run command created to open it. 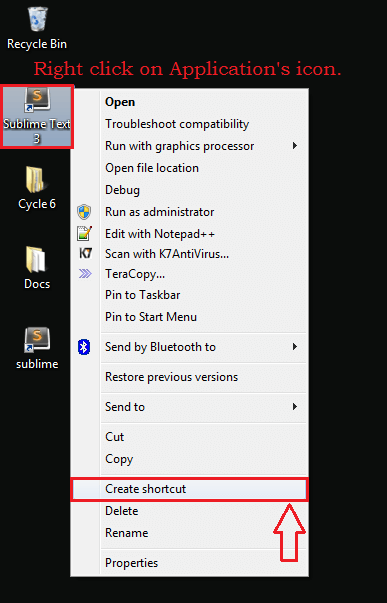 Follow the below steps to create a custom run command for any application, in this case, for Sublime. Right click on an empty space anywhere on your system. Now click on New and then on Shortcut. 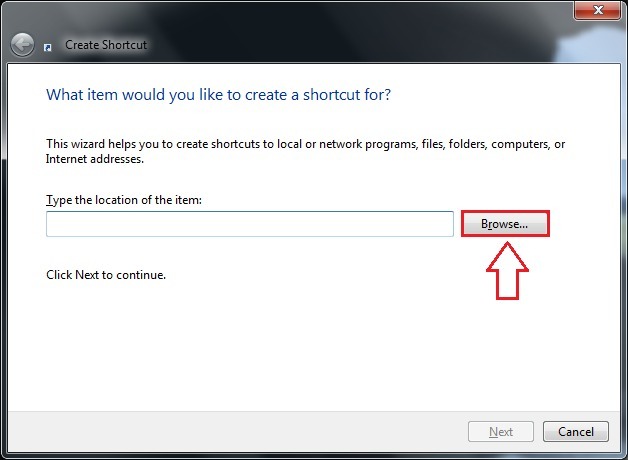 Execution of the previous step will result in the opening of a new window named Create Shortcut. We have to give the location of the item that we wish to create the shortcut for. For that, click on Browse button. Navigate to the location where your application is installed. In this case, my Sublime is saved in the E drive. Click on the .exe file of the application and click on OK button. Now you can see that the location field of the shortcut is filled up. Click on Next button when you are done. In this step, you have to give a name for your shortcut. It will be this name that will be used by the run command to open your application. So do not give a name that’s difficult to type and remember. For example, Sublime is far better that SublimeTextApplicationEasyClick. Creating a shortcut looks too difficult a task? 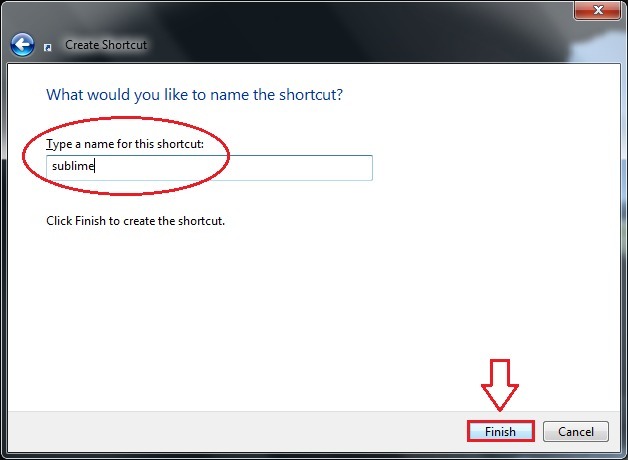 Well, you can create a shortcut alternatively by right clicking on an application’s icon and then on clicking Create shortcut. Give your shortcut a simple name as before. As next, right click on your shortcut and then click on Copy. 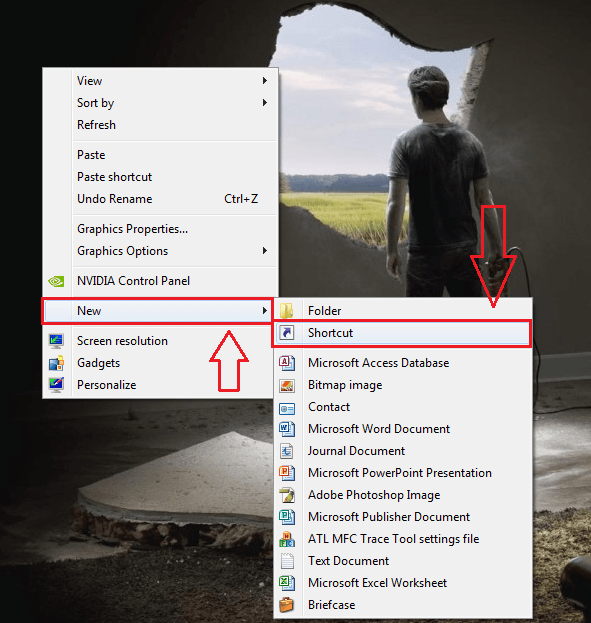 Now you have to open your file explorer and navigate to the following path. 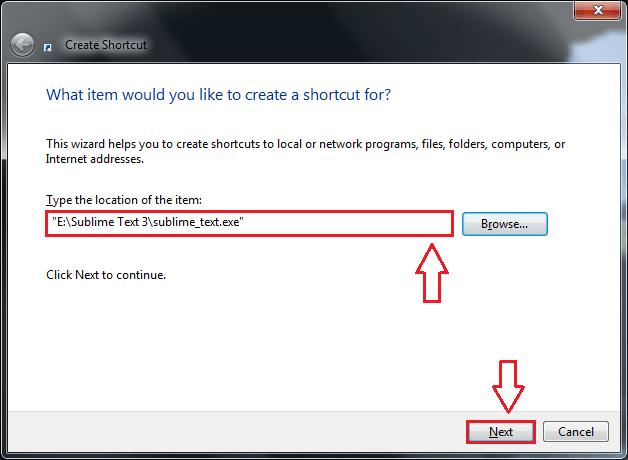 You can do that by simply copy pasting the following pathname in the navigation bar of the file explorer. Execution of the previous step will open the Windows folder. If you are asked for administrator permissions, click on Continue. Now right click on an empty space and click on Paste. 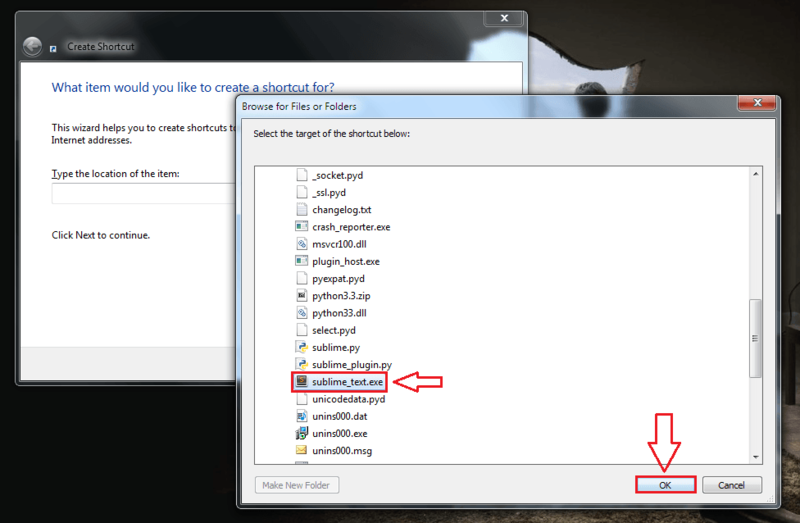 If you look for your application shortcut, it will be visible in the Windows folder now. Now let’s check whether it worked. Press Windows + R keys together to open the run command window and then type-in Sublime. Hit Enter. There you are! Yes, it works. Now you can open your applications without having to go through the trouble of a lot of navigations. Opening applications on Windows is as simple as that. You can create run commands for any number of applications as per your choice. Try out this hack today itself. Hope you had fun reading the article.